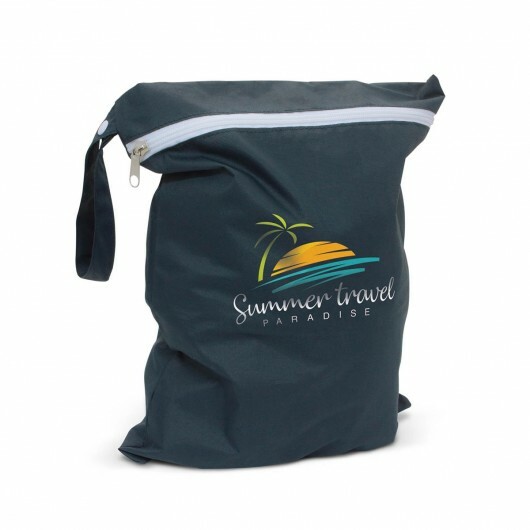 A promotional wet bag that keeps your dirty and wet items of clothing separated. 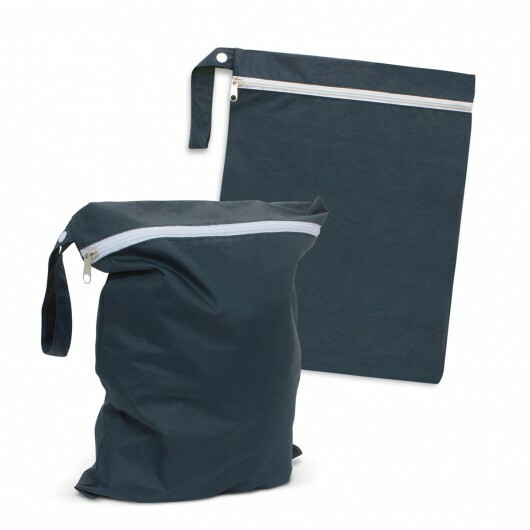 The perfect Eco friendly way of keeping your dirty or wet items contained and separated. It comes in a compact size that makes it great for on the go use and travel. It's designed with an easy to wipe lining and is machine washable as well. Includes a snap handle which is suitable for attaching to children's bags or pram handles and a zip closure keeps the contents sealed. Suitable for nappies, dry clothes, wet swimsuits, gym gear etc. Suitable for nappies, swimsuits, dirty clothes, gym gear etc.